A balloon sinuplasty is a procedure used to relieve symptoms of sinusitis by opening the nasal passages. Instead of turning to in-depth surgery for your sinusitis symptoms, you might choose a minimally invasive balloon sinuplasty for long-lasting results and relief. Have you ever felt like you had a cold that just won’t subside? You might experience nasal drainage, congestion, bad breath, sinus headache, and facial swelling. These are all symptoms of sinusitis, an infection of the sinuses caused by a virus or bacteria. 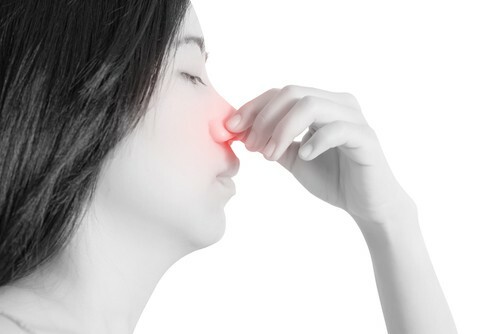 During sinusitis, the sinus lining swells, trapping mucus in the nasal cavities and causing that annoying congestion. Symptoms that last under four weeks are considered acute sinusitis while symptoms lasting longer than 12 weeks are considered a sign of chronic sinusitis. A traditional sinus surgery to treat sinusitis removes bone and tissue in order to expand the sinus opening. This surgery can result in a painful recovery and scarring. Balloon sinuplasty is a breakthrough minimally invasive procedure that is a safe and effective alternative to surgery with a very quick recovery. During a balloon sinuplasty, a small balloon catheter is inserted into the sinuses and inflated to expand the sinus opening. Saline is then sprayed to flush our mucus. When the catheter is removed, the sinuses remain open and clear. Balloon sinuplasty is completely safe and proven to have long-lasting results. You most likely will not need a second procedure. If you’re tired of living with the discomfort of chronic sinusitis symptoms, contact Tuscaloosa ENT and schedule an appointment to discuss a balloon sinuplasty.